It was supposed to be another random weekend and I would have spent most of it couched in front of television munching on some dry snacks with occasional interference of family gossips. However, as I was looking forward to it, there was a demand which comes up. And this demand leads me to the two towns which are prominent in the industrial belt of Uttar Pradesh. The two towns which have had a relatively high popularity for their traditional industries – mostly small and medium scale enterprises. And during this trip, not only did I get to be tourists through the largest state of the country, but also had a chance to peep closely into various manufacturing and processing units located in this region. Overall it was a high-flying trip through western UP belt which included a birthday celebration, stay with in-laws, a family visit to relatives and a glimpse into working of various industrial units, all from very different sectors and scale. Let’s take up the entire visit as separate phases. Firozabad is a district headquarter located in Western Uttar Pradesh, at a distance of 40 km from Agra. This city is famous for its glassware and is known as the ‘City of Glassware’. Hathras is a small city in north-western Uttar Pradesh. A city belonging to the Brij region of north India has various linkages to the Hindu mythology, especially the epic Mahabharata. The city is an important trading and manufacturing center in Northern India. This is a family business and I had the opportunity to understand the processes involved in the refining of raw potassium nitrate. The raw material goes through a complex web to physical and chemical transformations to ultimately yield usable chemical. Major uses of potassium nitrate are in fertilizers, tree stump removal, rocket propellants, and fireworks. It is one of the major constituents of gunpowder (black powder) and has been used since the Middle Ages as a food preservative. 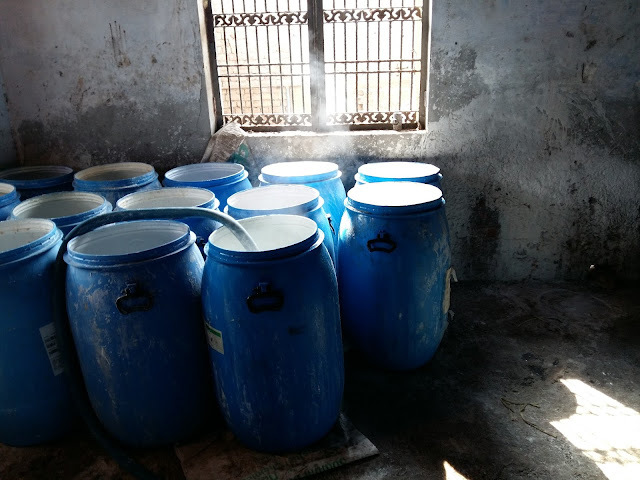 The initial preparation of the compound begins in a town called Jalesar in UP which is the center for such manufacturing throughout India. Historically this town has manufactured Potassium Nitrate from potassium and nitric acid and has enjoyed a monopoly of this production sector for long. However, one of the critical issues with KNO3 manufacturing is the disposal of residual water which contains traces of nitric acid. For long, this water has been dumped in deep underground pits. As the level of this threatened the local groundwater, authorities increased their surveillance and gradually some of the units have shifted to adjoining towns to avoid regulatory action. As far as the process goes for initial manufacturing, raw potassium in melted in huge furnaces and immersed in drums of nitric acid. A chemical reaction ensues within these drums over time and yields potassium nitrate with residual water containing HCL and Nitric Acid. The product thus developed is in raw form and has significant impurities. This raw potassium nitrate is processed thoroughly to get it to much-refined form which can be used by industry for various purposes. As part of refining, the raw product is put in a boiler furnace along with water, a lot of it. The cow-dung powered furnace is ignited to heat the water to its boiling level until the crystalline potassium nitrate melts to change its physical form. The molten compound along with heated water is transferred to large drums through pipes and then stored for over a week while it cools down. During this cooling, the impurities within the molten nitrate sediment to the bottom while the compound crystallizes on the walls of the drums. These crystals are collected and spread on the floor to dry them and filter out water through make-shift filtering techniques. Once considerable dryness has been achieved, these are then transferred to another furnace where more moisture is eliminated by heating the crystals to a high temperature. After this treatment and allowing time for cooling, the crystals are taken through centrifugal machines where last bit of water content is removed and a significantly high purity is obtained. These are either packed in nylon bags directly or after processing them to powdered form in crushers. However, the regulatory framework and state’s industrial policies are proving to be a challenge for manufacturers and refiners. 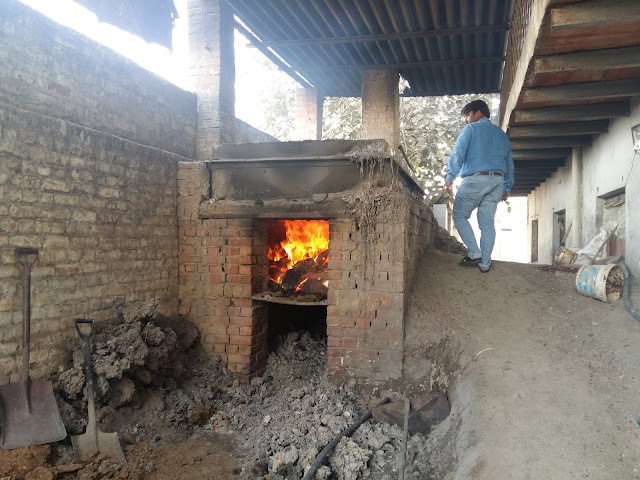 The critical point of contention between the pollution regulators and the industry is the rural fuel used for furnaces with former imposing heavy penalties for flouting pollution norms. The problem though is the state’s apathy in providing adequate support and infrastructure for promoting cleaner fuels. It is left for manufacturers to procure required machinery and fuel without much government support. The Decorative Glass Tumblers – How are They Cast? The next stop for us was a glass factory which has been a traditional stronghold of Firozabad. The local small-scale workers for long have been involved in glass bangles. There is a relatively bigger industry of decorative glass products including showpieces, crockery, and chandeliers. 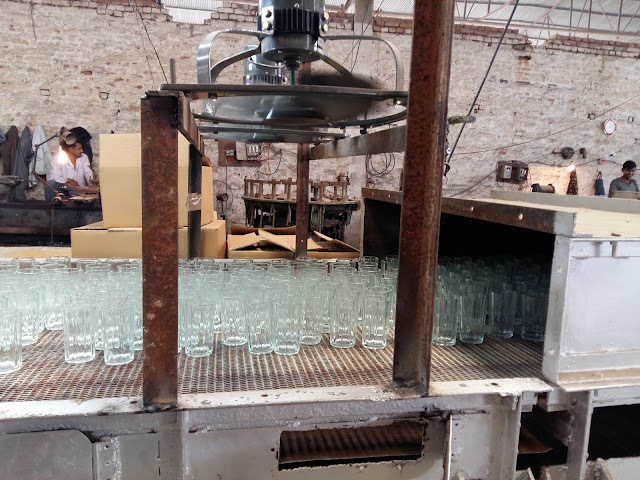 The manufacturing unit that we were visiting was a medium scale industry producing glass tumblers. 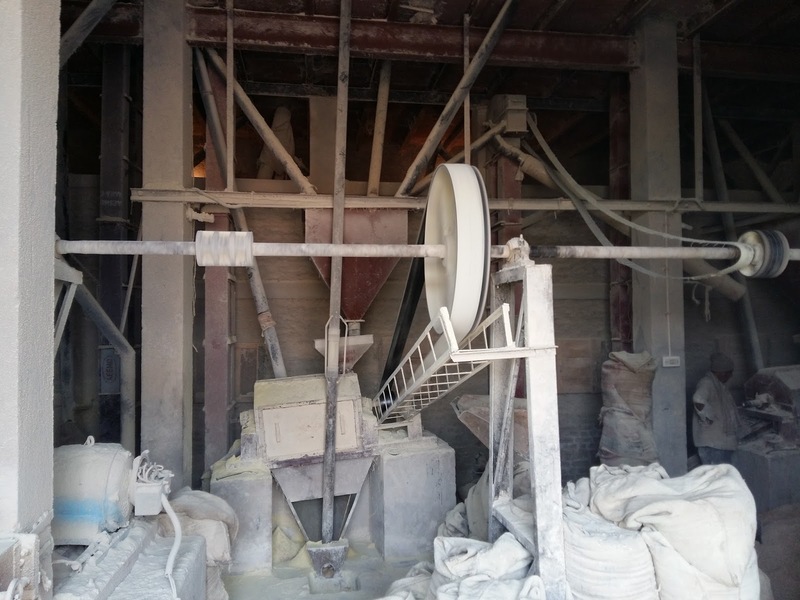 The raw material for the plant includes silica sand, soda ash, and dolomite/limestone. All materials are rigorously checked and analyzed for quality to ensure the purity of the glass. The raw materials are mixed and put into a huge furnace where they are heated to high temperatures to allow chemical reactions for formation of glass. The glass thus produced is in a molten state which is transferred to iron casts in weighted quantity. A fixed amount of molten glass is dropped in vast containers and the upper shape of the glass is imposed by pushing another cast over the molten glass in the lower cast. The hot glass shaped into a tumbler by the cast is then picked by careful hands (with gloves) and transferred to a long conveyor belt which takes the glass through various stages of cooling and setting. At the end of the belt is the final stage of cooling using strong fans. Once the glass tumbler reaches the end of the belt, there is a person who inspects the glasses for quality. Those pieces which clear the informal quality criteria are packed in cardboard boxes. Remaining glasses which do not conform to the required quality criteria are broken down and re-fed into the furnace to take up the entire journey again. Key quality criteria followed by the labor include the clarity of glass – avoiding green tint or impurities trapped within – and lack of any deformity – the absence of cracks, corners or molded shaped. Everyone loves the tea – Where does the Paper Cup come from? The city of Firozabad had another manufacturing unit waiting to enlighten us. This was a paper cup factory which churns out the Nescafe cups that we see with every cup of coffee or tea which we take. We went to the plant which is based on a couple of large machines which are pretty much automated and only needed a human intervention in case a paper was stuck or a refill is required. The plant procures hard papers cut in required shapes and sized from printers. These papers are raw material for the machines. These are placed on a stack at the designated slot within the machine. Now the entire process is completed in three stages. 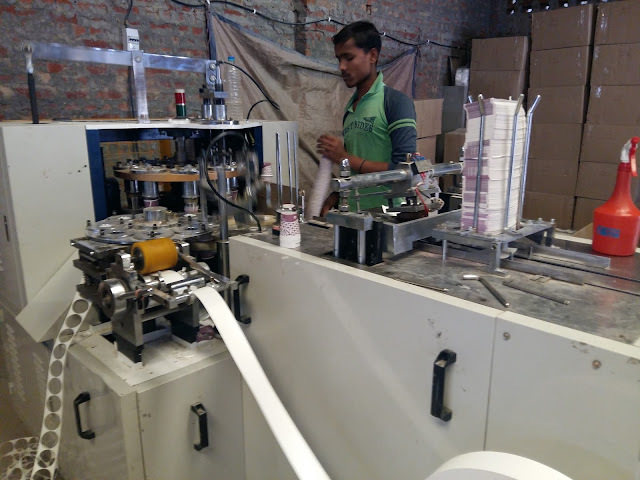 As part of the first stage, a single paper sheet is pulled in, rolled and then stuck at the ends to form the circular part of the cup. Post this the cup proceeds to the second stage where the base of the cup (which comes from another long sheet of paper) is chipped into the bottom of the cup and secured. As part of the final stage, the top edge of the cup is rolled to create a molded effect by reducing the sharpness. The final product is rolled out as a stack. The entire process across the three stages is automated including the transfer of the cup from one stage to other. The stack of cups is taken out and packed after counting. Food is Next – How are Dals Milled? 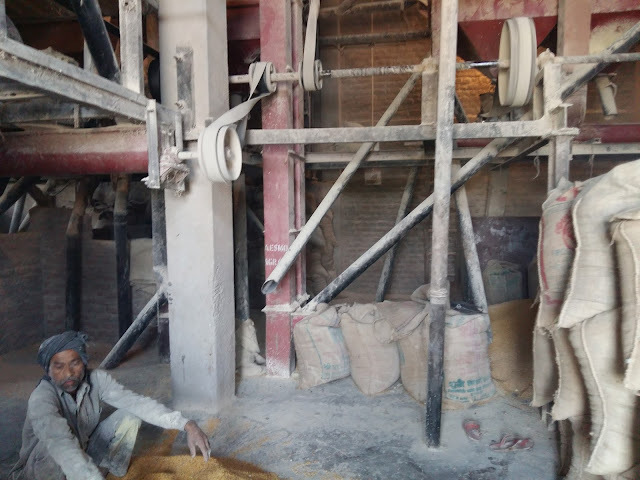 After a series of visits in Firozabad, the last stop was a Dal Mill (pulse factory) in Hathras. It was a relative’s plant and hence it was again a chance to get into details of the entire process. This is relatively large plant and involved heavy investment. The plant was nicely set up with a park in the center which provided aesthetics to the entire area. On one side, there was an office while the other side had the entire machinery set up. The machinery involved for this plant is relatively more complicated and larger in scale. It was specifically a mill for Arhar Dal. The raw arhar is procured from producers and is fed into the funnels which take it through multiple stages of husk separation and filtering. After 3-4 stages of filtering, sunflower oil is applied to the product after which it is taken through a final round of finishing. The product thus formed is moist and hence needs to go into heating furnaces powered by diesel. After considerable removal of moisture, the dal is finally dried in the sun. 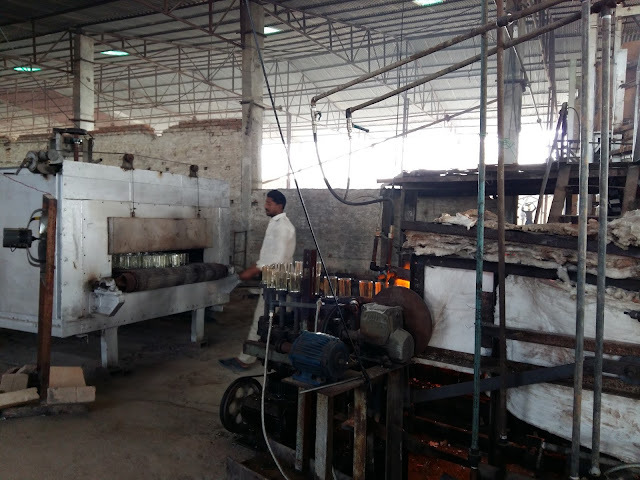 During monsoons, two stages of furnace drying are used, however, the quality of furnace drying lacks the finesse of sun drying. Ones dried, the dal is segregated based on quality and packed until demand is received. Once demand comes in, the dals are polished to shine and shipped to markets. The husk is powdered and is sold separately as cattle fodder. This is what was my last weekend looked like and I would miss anything to go for such a rewarding visit. 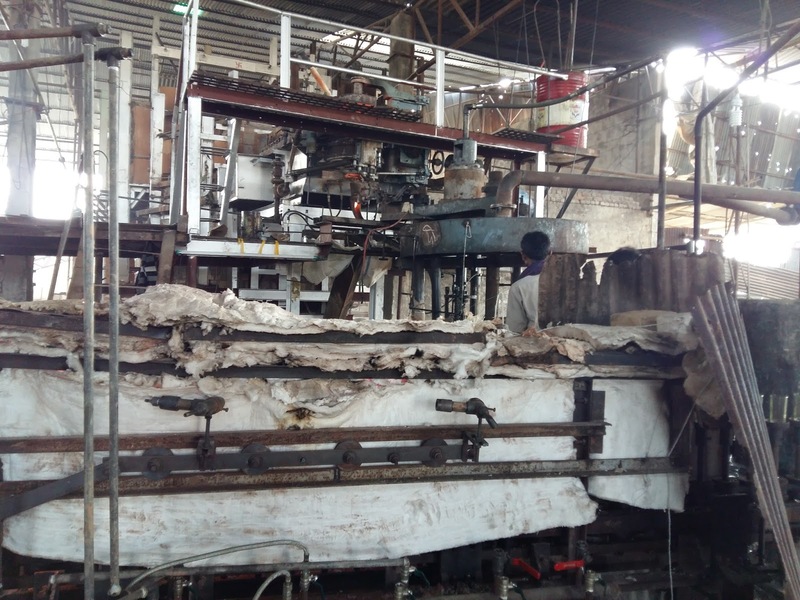 You seldom have chances to observe the local manufacturing units and understand the woes of local traders so closely. What I understood from the visit is that we have not helped our local industries enough and lack of robust industrial policies is leading to declining profitability of these industries. The state has not been able to provide the requisite infrastructure and logistical support to promote traders and local expertise. Now, there is no denying of the fact that these industries are crucial contributors to the economy as a whole and provide employment to the rural and semi-urban labor. While the central government promulgates Make in India (Read More at - ), it is crucial that adequate importance is given to this sector of the economy which is as critical as large scale industries in building the country.